X Mickey was a unique series that was launched with issue #1000 in May 2002 and canceled after issue #971 in October 2004. That's right, the issue numbering was done counting backward starting with 1000. Each issue in the series contained two stories: a long and a short one. There were also editorials on the history of this 'new universe'. The magazine was targeted at 8- to 12-year-olds. Mickey Mouse featured in this series is not like the one we know from the weekly Topolino. 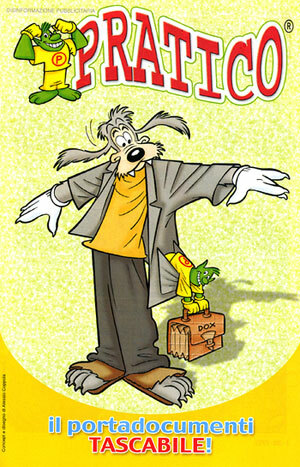 He still lives in Topolinia and he still has Minnie as his girlfriend, but he solves mysteries about monsters and the unknown and has a new friend, Pipwolf (Goofy as a werewolf!). Thanks to Pipwolf, Mickey discovers a new dimension which contains many secrets when he passes through. On the other side there is Manny, similar to Minnie except that she lives in a great mysterious house in her other dimension.